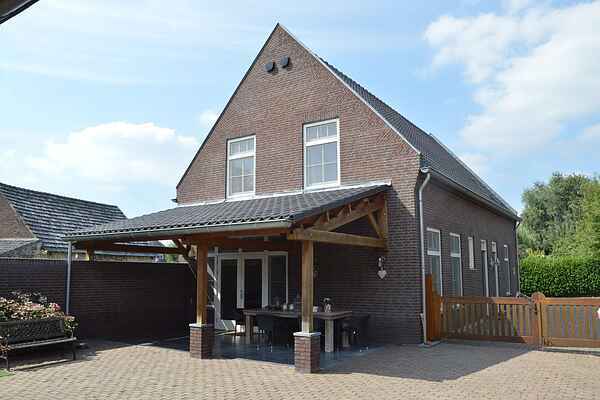 In Posterholt in Limburg, at the edge of the village, you will find this holiday home with two comfortable and nicely furnished apartments. The ground floor apartment is wheel chair accessible, the second apartment is situated on the first floor. On the courtyard behind the house there is a terrace where the guests of both apartments can relax. Posterholt is a church village in the municipality of Roerdalen in Middle Limburg, circa 10 km to the south of Roermond. The numerous hiking, cycling and riding tracks lead through the green, rural and forested area. De Meinweg National Park is a beautiful recreation area approx. 12km away. It is a varied landscape with heaths, fens, stream valleys and forests, which will surely appeal to nature lovers. Posterholt is also an ideal base for excursions to Maastricht, Roermond, Weert and Düsseldorf. For shopping enthusiasts, a visit to the Designer Outlet centre in Roermond is certainly recommended. EXTRA INFORMATION: For holiday guests who want to bring a horse, stalls are available behind the holiday home. (for a fee).